When the original iPhone came out I was interested. I bought one and tried it for a few days and found the lack of exchange support to be a non-starter. The browser was cool but the phone weighted so much it just didn't work out. I tried using it more on weekends but I only got 6 hours of battery life out of it. I'm often away from a plug more than 6 hours so that didn't work. Soon, I just started leaving the iphone plugged in on kitchen counter (where it seemed happiest) and only used it for about 2 hours a day. IPhone and I settled into a cocktail regime where I would come home from work and surf while I watched the national news and had a nice Martini with three olives, up not dirty. Eventually, I determined the martini and news was enough. During the day I adopted the Blackberry Curve that was literally half the weight of the iphone and somewhat smaller. The browser sucked but the email rocked and I could run it with one hand. More importantly the battery life with full-on usage was about 30 hours from full charge to totally dead. Life was good, maybe not as fun as the iPhone, but good – connected – and reliable – and I could venture away from power plugs. When the 3G iPhone came out last week I decided to try again. After a search I found the old iPhone in the drawer and charged it up, downloaded the new firmware, and fired up the new exchange support. It seemed to work flawlessly except you can't create new meetings and invite people to them (dumb). That's was ok because I usually create meetings on the desktop, so that was overlookable. The new form factor is an improvement although it's actually larger (who releases a larger phone in version 2?) the iPhone seems to weight at least as much as the old iPhone. My nagging concern was the battery life. My concerns were not alone. Yesterday was my first full day with the 3G iPhone. Tuesdays are one of my workout days so I actually got a late start unplugging it at exactly 8am. Though the day I used it as much as I normally use my Blackberry. I was careful to be self aware about this as many of my iPhone fanatical friends suggest that I simply use the iPhone more than the blackberry accounting for the poor battery life. At exactly 4pm the 3G phone was completely dead.. hmmm Again, my iPhone fanatical friends tell me that it's because my phone was paired with WiFi all day at the office. Perhaps, but so was my Curve, in fact I use WiFi for calls on the curve curing the day (I didn't even have a voice call on the iPhone yesterday). I think part of the problem is the iPhone seems to be heating it's environment.. The iphone is always warm, the Curve is basically and ice cube. As I write this at 10:30 am the second day, the iPhone is about 10% down on its second charge and my curve is about half down on its first charge from 26 hours ago. I'm sticking with Martini phone for the rest of this week, but I believe I have another drinking buddy on my hands here. Back when I worked at NASA, I worked on the X-Planes. Many of these were fighter type aircraft but they were not designed to be real fighters. They were labeled technology demonstrators because they were designed to try-out leading edge new technologies that were not completely baked yet. They worked great in controlled situations and did a few things phenomenally well. 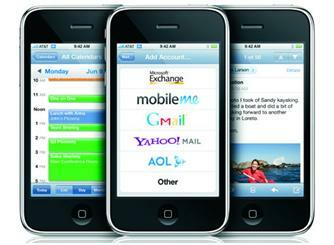 The 3G iPhone like its brother is a phone technology demonstrator. It shows us how cool phones will be some day. Chris Sacca: What is left?